Placed in the Alwar district of the royal state of Rajasthan, Sariska Tiger Reserve is a well-known national park in India. The former hunting grounds of erstwhile Alwar royalty, it was declared a wildlife reserve in 1955 and in 1978, it got the status of a tiger reserve, under the Project Tiger scheme by the Indian Government. Sariska covers an area of around 866 sq km of land. The nearest airport to Sariska is Jaipur Sanganer Airport, which is located at a distance of 107 km. This airport is well-connected to all the prime destinations of India. 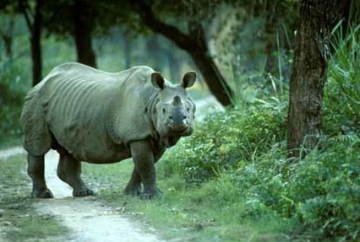 The nearest railway station to the Sariska Wildlife Sanctuary is placed in Alwar, which is around 37 km away. Sariska Wildlife Sanctuary is placed- off the Delhi-Alwar-Jaipur Road. 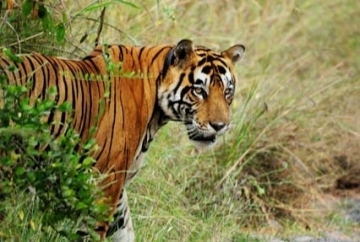 The tiger reserve is around 200 km Delhi and 107 km from Jaipur. Sariska is directly connected to NH-8 through Alwar. What is the best time to visit the Sariska National Park? The best time to visit the Sariska Wildlife Sanctuary is between the months of October to March. During the summer months, the weather is extremely humid and hot. The park remains closed between 1st July and 30th September. What is Sariska Wildlife Sanctuary known for? The Sariska Wildlife Sanctuary is best known for being home to the Royal Bengal Tigers in decent numbers. This is the world’s first tiger reserve where the relocation of tigers has been in a thriving manner. These relocated tigers adapted to the environment quickly and this lead to an amazing growth of their population. The marsh animals of the lakes are the popular highlights of this national park. During the 18th and 19th century, Sariska Wildlife Sanctuary was the private hunting grounds of the royal family of Alwar. Today, this wildlife reserve still houses the remains of the temples and houses of the 10th and the 11th century. Sariska became a wildlife sanctuary in 1958 and a tiger reserve in 1978 and finally a national park. Where is Sariska Wildlife Sanctuary located? Sariska Wildlife Sanctuary is situated in the Alward district, around 107 km from the state’s capital Jaipur. What are the opening and closing timings of the National Park? The national park is open all days of the week between 6:00 AM - 4:00 PM. However, the park is closed on national holidays. Are there any other attractions in the National Park? Another major highlight of the park is that it houses a number of historical sites as well, which one of which is the Kankwadi fort. Another prime attraction is the Pandopil, lying in the hills in the central area of the national park. This site is popular as the site where the Pandava brothers of the Hindu epic, Mahabharata had spent a few days, while they were in their exile. Built by the Bargujars, the Nilkanth temple is another attraction here, known for its beauty carvings. 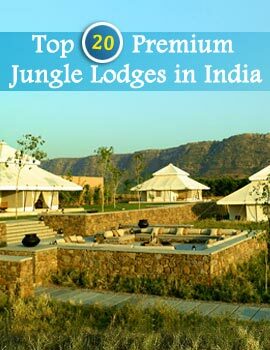 Can you tell me where I can stay while visiting Sariska National Park? If you wish to stay close to the nature, amidst lush greenery, you can stay in wildlife resorts such as Tiger Den and Tiger Heaven, which are placed quite close to the entry gates of the national park. You open your eyes to the chirping of the birds and greenery around, forms a soothing sight for the eyes. These wildlife resorts offer all contemporary facilities, necessary for a comfortable stay.Enjoy amenities and services such as room-service, TV, attached bathrooms, spacious rooms with options, Gym, entertainment and recreation facilities, telephones, travel arrangements and much more. They can also make arrangements for nature walks, sightseeing and jeep safaris. 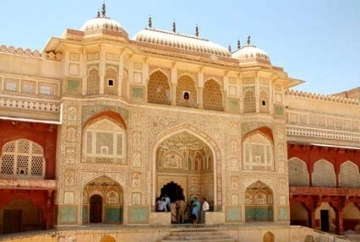 You also have an option to stay in the nearby cities of Alwar and Jaipur, which are dotted with innumerable hotels, for all kinds of pocket-sizes. 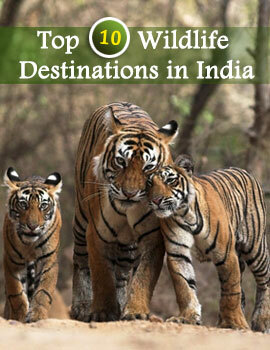 Any last minute tips before I visit the Sariska National Park? Carrying sharp objects like blades or a knife is a complete no-no. Do not disturb the animals or do not feed them. To avoid last minute rush, it is advisable that you reach the gates of the national park, an hour before the time. Carry some necessary items such as medicines, torch, water bottle, mosquito repellent, sun block lotion and sunglasses. Do not talk in loud voices while inside the park. Do not throw garbage here and there, once inside. Avoid wearing clothes in loud colours and bold prints.